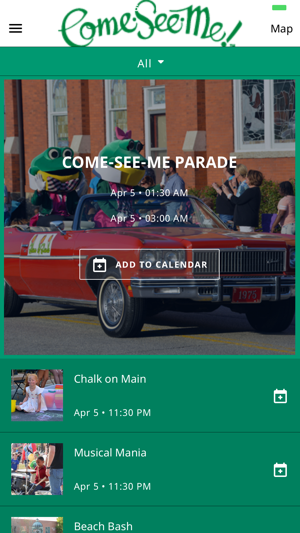 • Schedule – Never miss your favorite Signature Events or Activities throughout the festival by having access to the entire schedule at all times! 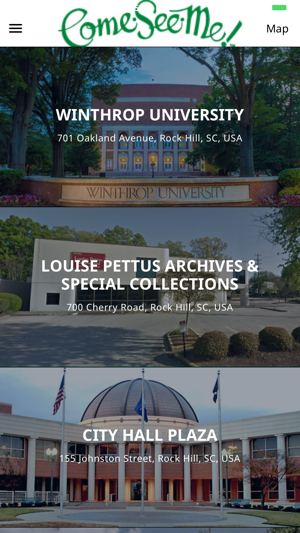 • Event Locations – Search for Signature Events by location! • Sponsors – Learn more about the sponsors of the festival and be sure to support them throughout the year! • Weather Updates – Check here find weather related changes to events during the festival and to check the local weather! • Festival Notifications – Stay up to date on location changes due to inclement weather as well as general reminders throughout the festival! 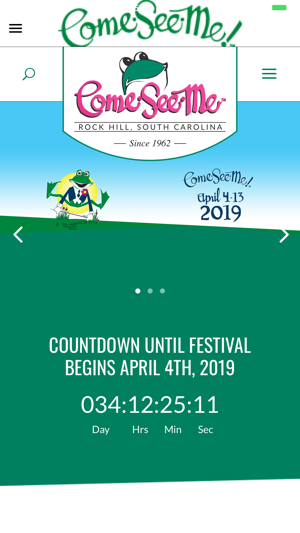 © 2019 COME-SEE-ME FESTIVAL, INC.